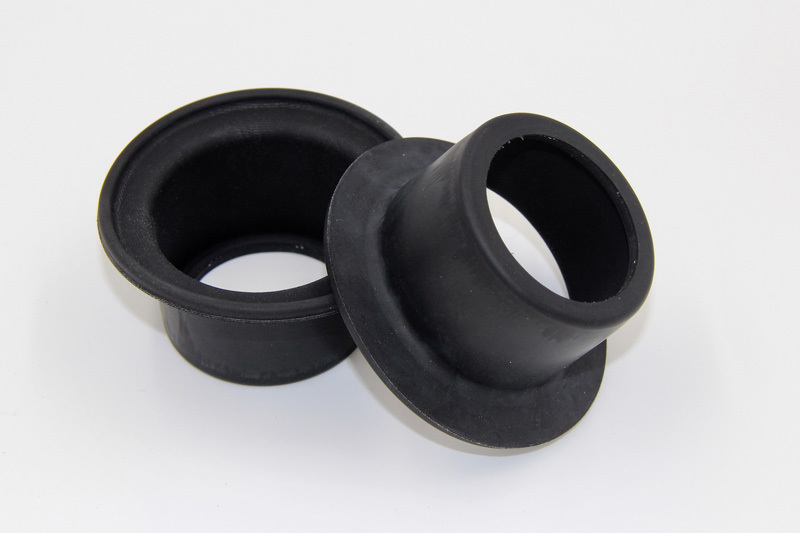 The design of Type I rolling diaphragm provides low-cost to hardware, small package size and lower assembly cost, the design offers substantial advantages over convoluted diaphragms in many applications with the overall goal in extending the life of the diaphragm. Type I rolling diaphragms exhibit differences in both configuration and operation from Type F style diaphragms. 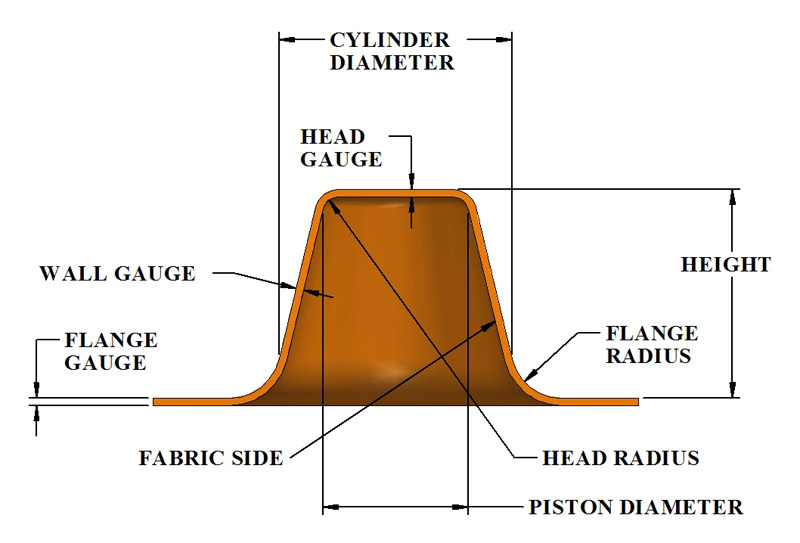 The configuration of the sidewalls drops almost straight down from the piston diameter then flair out to the flange in a large corner radius. In operation, this design’s full convolution is not present at the top and bottom of the stroke, but appears only during a portion of the piston travel. This design provides substantial benefits because it provides the same advantages associated with an F-Style and will allow the hardware size to be reduced and is easier and less expensive to install since it is not required to form the convolution before the Type-I diaphragm is installed. The effective pressure area of the Type I diaphragm will remain constant as long as the diaphragm remains in full convolution. However as the diaphragm rolls out of full convolution at both ends of the stroke, there will be some variation in effective pressure area. It provides the same features and advantages generally associated with Rolling Diaphragms. Reduces Hardware Size – Without a long piston skirt, the entire cylinder assembly can be substantially reduced in overall size and weight. Reduces Diaphragm Size – Because it provides a 1/2 stroke length equal to its full length, diaphragm can be shorter than conventional diaphragms. Installation with ease – It is installed without shaping the convolution. This significantly reduces labor time and cuts the need of special tooling. Exhibit minimum Pressure Reversal Problems.